Have you wondered if there was a way to improve your smile? Are you self-conscious about your mouth? Is there an area of your smile that you’d like to improve? Teeth whiter? Straighter? ​If the answer to any of the above is “yes”, the team at Mona Vale Dental can help you achieve those goals. Veneers can enable you to have the best smile possible, and to make sure that your smile is an asset, not something to hide. ​The various options can be discussed in more detail at your Consultation, and between you and the Dental team we can find the option that is the right one for you. 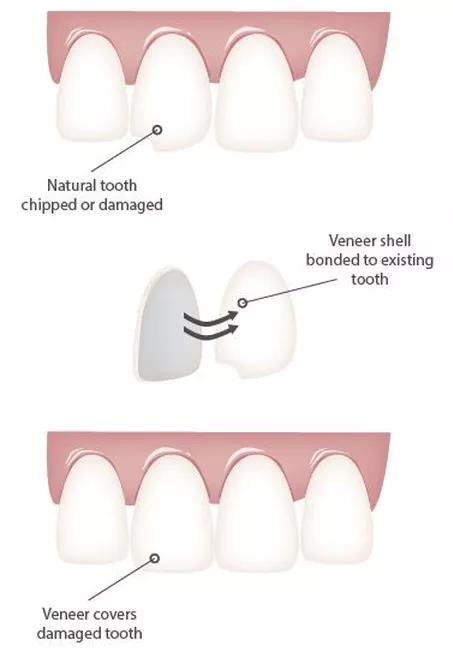 Veneers give you the ability to have a bespoke, designer smile. They are porcelain facings that are bonded over the front of teeth to create better shape, colour, size and orientation to improve your smile. They are great option to recreate the natural look of teeth while also providing strength and resilience comparable to natural tooth enamel.